We had a Studebaker when I was little... It was a 1951, but I'm not sure whether it was this model or the slightly larger Champion. The two models looked quite similar, but the Champion was a bit larger and probably a bit fancier. 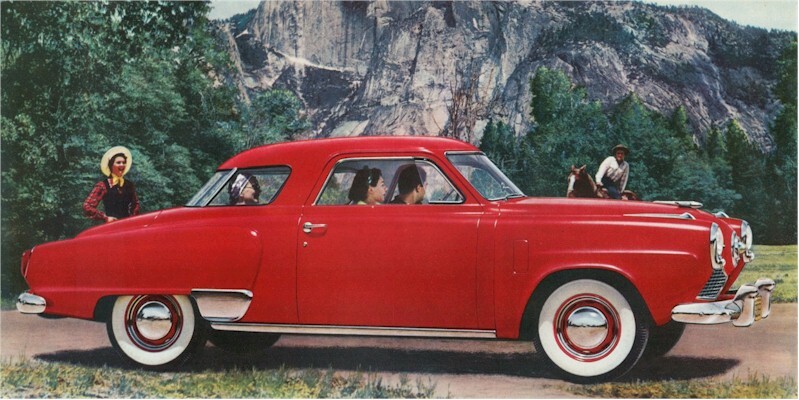 In any case, the one we had was incredible... 27 mpg in a 1951 model, amazin'! One of my favorite cars of all time was the Studebacker Golden Hawk! With those fins it looked fast even when not moving...BRING BACK THE FINS!! Thanks for the comment, Tommie. I found a new photo that I hope is more representative, and have corrected the model name. Don't know where I got the idea that it was Commando.